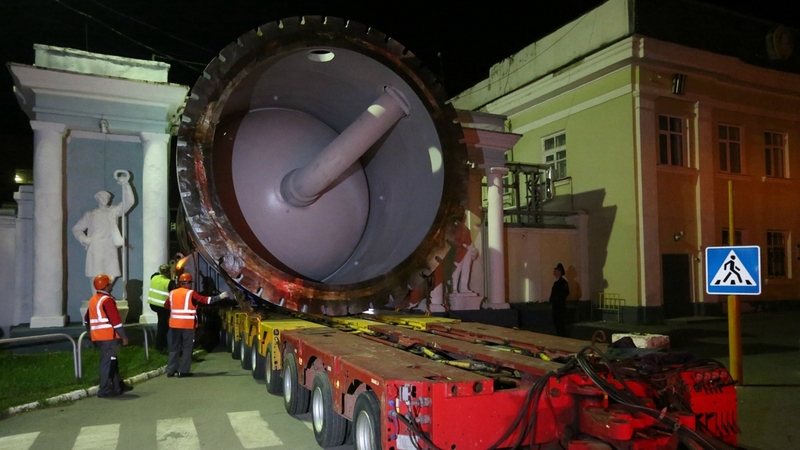 Last night, Uralkhimmash sent on its way two enormous 186 ton-absorbers heading for the gas compressor station “Slavyanskaya” situated over 2.000 km from Yekaterinburg away near the Baltic Sea. The station is the starting point of the Nord Stream 2 gas pipeline. Each absorber has a height of 19.1 meters and a diameter of 5.8 meters. In order to get the specialized platform with 22 axles through the city, roads were temporarily closed and power lines were moved. 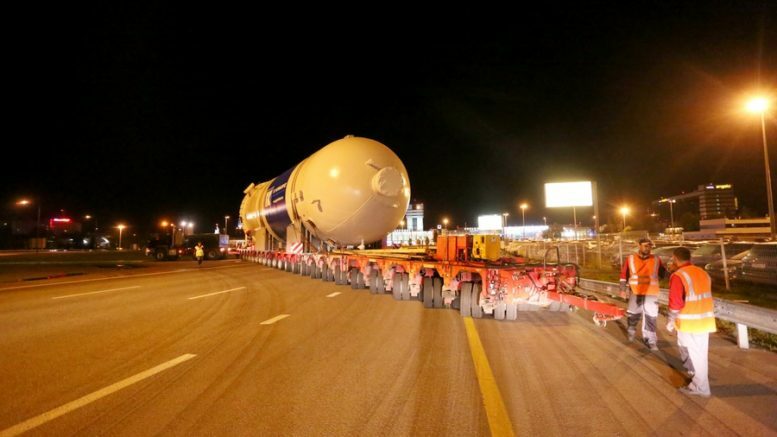 First, the journey heads to Perm, where the absorbers will be reloaded on a barge taking them to the Baltic Sea by waterway. This is the second and final delivery. Two other absorbers were shipped in mid-August. Uralkhimmash is another beneficiary of Nord Stream 2 from the Ural Region. 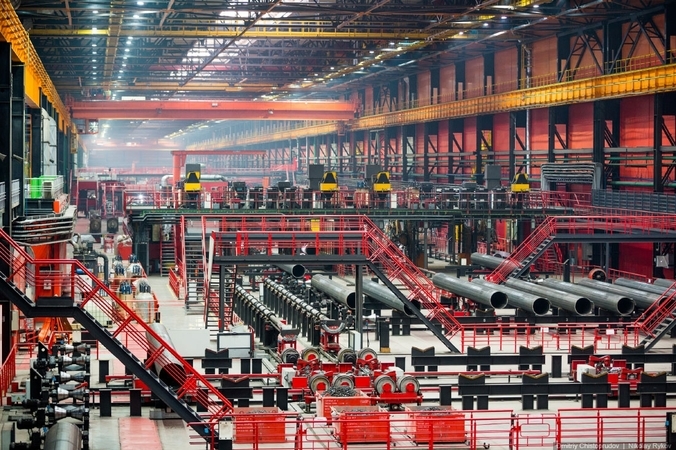 Previously we reported about the ChelPipe Group which delivered 600,000 tonnes of innovative pipes for the project over the last two years. The Nord Stream 2 twin pipeline will be one of the world’s longest offshore gas pipelines with 1,230 km in length.